This year my grandfather passed away, suddenly and unexpectedly. In a lot of ways, this has defined my year. The shock. The trip home. The shifting of priorities, of family dynamics. A deeper understanding of grace. 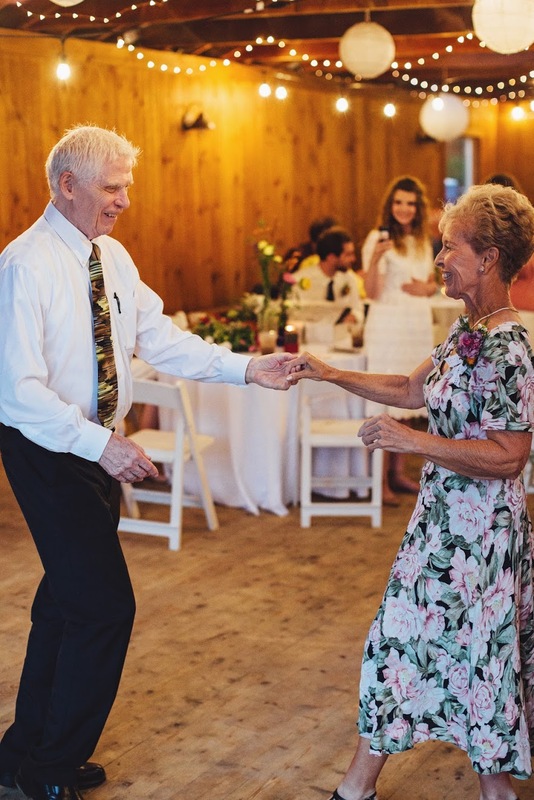 I presented at a church workshop the week after the funeral and my final slide was my grandfather dancing at my wedding. I talked about grace and how when someone passes away you can see their life clearly–the highs, the lows, the reality of the human experience. And yet, with my grandfather’s death, my main takeaway, the biggest feeling I was left with was simply love. God smooths over the rough places in our life and resurfaces us with love. I saw this firsthand this year. I saw grace in action. I think my word this year is adult. I’m growing older. My first grandparent has passed away. That’s a thing that starts happening now, I guess. People I love age and struggle and shift. I am aging and struggling and shifting. I went to the grocery store every week this year. A few years ago I was going to the grocery store once a quarter, at best. Every time I pushed my two carts out to the parking lot, an employee would ask if I was throwing a dinner party, or perhaps a medium-sized wedding. No, no. I would say. You must go to the grocery store weekly if you want to eat well at all. I’m sorry. To all my younger readers still on the quarterly plan, I’m so sorry for this news. I hate the grocery store. This year, I went every week. My word for this year is adult “I think” because I couldn’t come up with a better one. It’s as close as I could get to what this year was about. That’s a nice sort-of synonym? We adopted Dolly this year. We are responsible for a 5 lb living, breathing squeaky toy who crawls on my lap first thing in the mornings and flops and meeps for attention. Rob suggested motherhood was the word for the year but I told him that was too far. A gaining of responsibility, of adulthood. This year was the year of Dolly. Recently Facebook popped up with the picture I shared back in February when we adopted our little marshmallow fluff. My grandfather commented, as he always did. He was the King of Comments. This year I didn’t move! Two consecutive years in the same apartment, baby! Since I came to LA in 2012 I’ve lived in five different places. This year I didn’t move and I lived in an apartment that is functional and decorated and furnished. This is the year of adult, after all. This year I stayed at the same job! Two consecutive years at the same place of work, baby! Not that this makes one an adult. A lot of really adult people I know freelance or shift with the wind. Change income-sources like I change mumus. But for me it was a sort of settling down and settling in. I am incredibly grateful I have it. The last time I sat down and had a real conversation with my grandfather was fall of 2017. I shared my shiny, new wedding pictures with him and my grandmother. 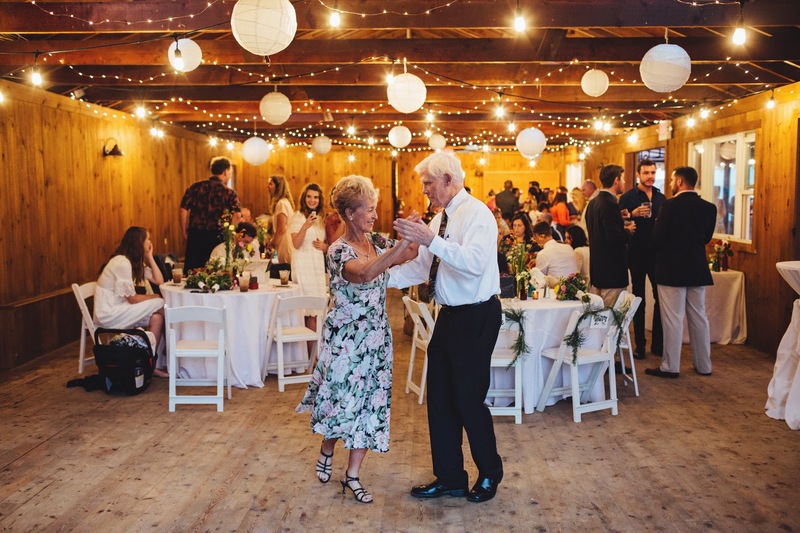 My grandparents dancing was a highlight of my wedding. It was a highlight all weddings they ever attended. The two of them would dance in any situation. Music came on? There they were in the middle of it all. Smiling. Cha-cha-ing. Glowing. 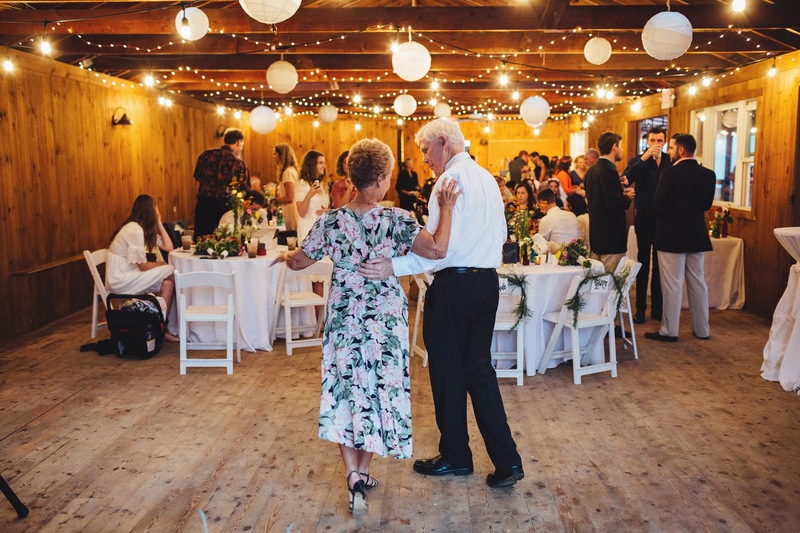 At my wedding, my grandpa did complicated footwork to You Belong With Me by Taylor Swift, jumping and leaping, landing it all as the crowd cheered. At his funeral, we played this footage on a loop. 2018 was the year of adult. It was the year I started to craft in a real way. The year I announced I was Mormon on the internet. Both of those feel adult to me. The embracing of who I am, who I have always been. The owning of it. The return to the core. 2018 was the year of therapy. My therapist says she’s seen me change this year. Start on a path. A path towards what, is the question. That’s the word I’m looking for. Is it responsibility? Honesty? Dolly? Grief? Crafting? Therapy? At least, that’s what I’m going with for now. To read the obituary I wrote for my grandfather, click here. PS: My words for 2017, 2016, 2015, 2014, 2013 and 2012. Well, Mrs. Masiel really did Dr. Benjamin dirty, didn’t they? I’m referring to the show, not the character, though, I suppose she did him dirty as well. 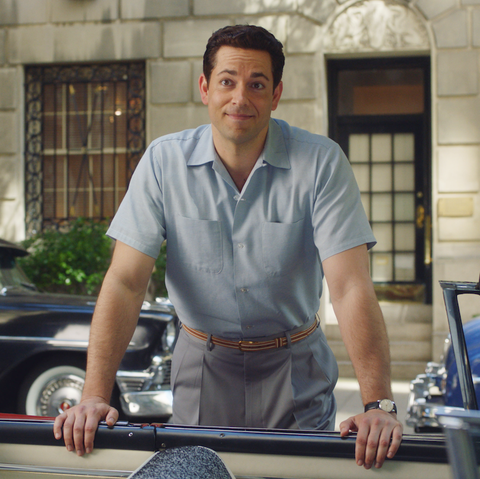 Dr. Benjamin Ettenberg, played by HELLO Zachary Levi, is perhaps the most appealing male character ever put on our television screens. He is handsome. He is tall. He is a surgeon in a time where a surgeon meant excellent parking spaces and an entire brownstone in New York. No one can keep up if you’re Midge Maisel. I don’t know why the show did this to us. Joel can go. Joel can go immediately, we never, ever cared about him, he steals jokes from other people and cheats on his wife and don’t get me started on his slicked hair and insecurity around a woman’s talent. JOEL COULD GO IN THE PILOT AND THE SHOW WOULD BE BETTER FOR IT. But you’re going to go ahead and create a perfect male, a perfect male for Midge, one who supports her dreams, celebrates her weird, doesn’t want her to be a stereotype? You’re going to create this man, cast Zachary Levi and his broad, BROAD shoulders, and then blow it all up like that? I’M BACK IN MY JOEL SCREAMING MODE. I feared this would happen. We simply didn’t see enough of Dr. Benjamin for me to believe he was going to be the Luke Danes of the series. He popped in and out. Maybe more of a Max Medina? A more appealing Max Medina? And then when out of nowhere he was going to propose? I knew it was over. You don’t propose that quickly and work it out on TV. You just don’t. Ask Ross and Rachel. If Dr. Benjamin was going to be the Dr. Benjamin we needed him to be, we needed more screen time. We needed her to tell him she was going on tour and for him to support it (AS HE WOULD I’M SCREAMING AT YOU AGAIN, JOEL). We needed a few seasons where she wondered if she could really have a relationship again. How a man would work into her schedule, not the other way around. A few seasons where he proved himself again and again, with that voice, those shoulders! Those ideas about relationships! In my heart, I’ll hope for a fifth season where she’s more deserving of you. Where you get to be on our screens at least a half hour every episode. In my heart I’ll hope for the ending you deserve. Mrs. Maisel really did you dirty, Zachary Levi. Oh Mrs. Maisel really did you dirty. PS: Did you see the Mormon reference in The Marvelous Mrs. Maisel? 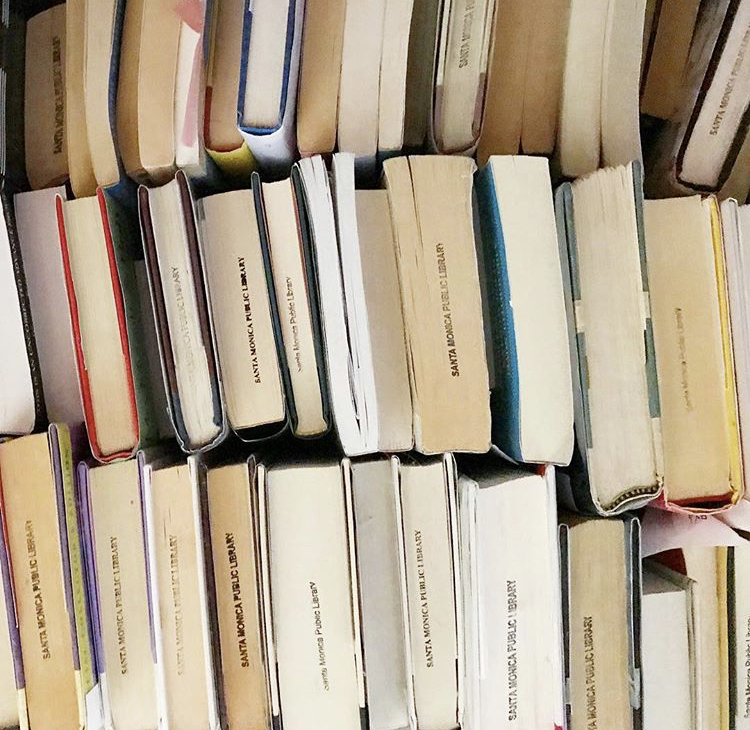 Inspired by #libfaves18, where librarians Tweet their top 10 books published that year. You can see the final list for 2018 here. I get precious about the books I recommend. I don’t like this about myself. In my job as a librarian I’m not like this at all. If a student comes in loving Diary of a Wimpy Kid I’m READY. How about Timmy Failure? I gave it to my husband to read, I loved it so much. Have you done Hamster Princess? It’s not what you might think it is, such a great feminist message. 13-Story Treehouse is a sure hit, but what about something more like Phoebe and her Unicorn? If they reject my picks (and they often do) I say great! and move on. My goal is to get them to a book they love and want to read, not to get it “right. “Not to have them say my taste is flawless. Often after a book recommending session I have 20 rejected books by my side, but one happy kid with one happy book on their way out the door. When I recommend books online I’m much more particular. I’ve shared the life-changer books here on this blog. But the ones in-between (as almost all books are)? What if people think I have bad taste? Do they know that Hey Ladies isn’t as good as Joan Didion? This is all to say I’m going to try to share more this year. I’m often asked to share and recommend books and I love it. I’m so flattered by it! I’m also a little nervous! What if people hate my books? What if it’s a reflection on me? To start off this sharing, this less precious self, I will lead with my Top 10 books published in 2018. 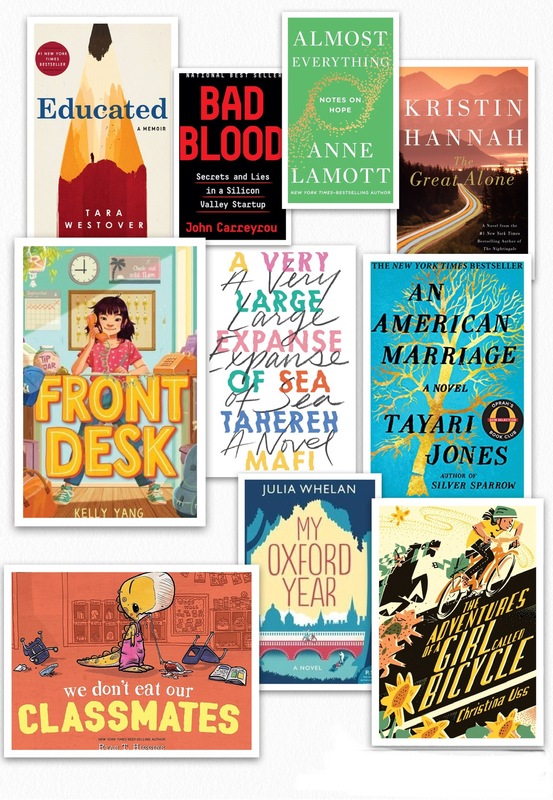 Not my top 10 books read in 2018 (that’s coming!) but books published this year that I read this year. My favorite children’s book this year. My favorite obsession this year. My favorite book to discuss this year. My favorite emotionally intense fiction this year. My favorite book to debate this year. My favorite sweet story this year. My favorite picture book this year. My favorite romance this year. My favorite YA novel this year. My favorite spiritual book this year. For Christmas this year I got a print of the sky the night of our wedding. It’s such a perfect Jill gift. It’s romantic and personal. Sentimental and sentimental. There we are, Chequessett Road, Wellfleet, MA, August 18, 2017. I’m fuzzy thinking about it. Hilary gave a toast at our wedding. I knew I wanted a few things when I got married. I wanted flowers of all shapes and sizes and colors. I wanted a wedding dress that screamed me so loudly you’d hear the echo decades later. Hilary was one of those people. 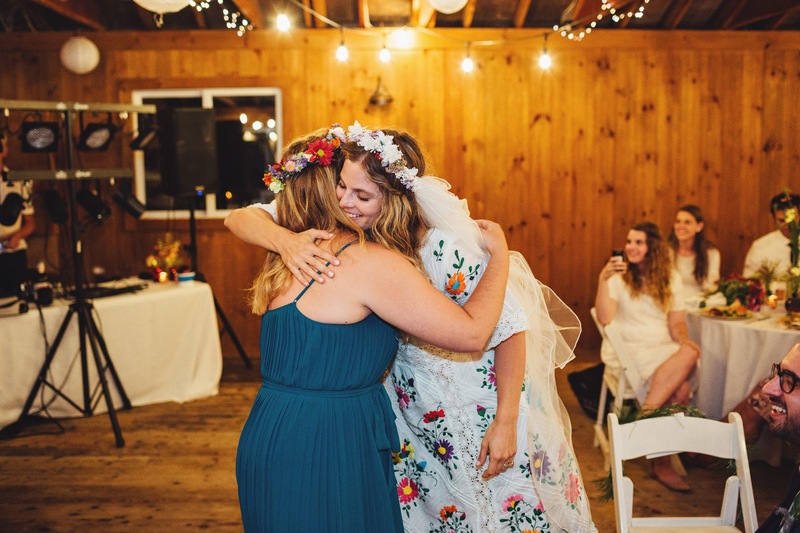 She got up there with her writerly words and her oversized flower crown and she gave a toast so big, so profound, a year-and-a-half later and people are messaging Hilary to get the exact words for my wedding print. 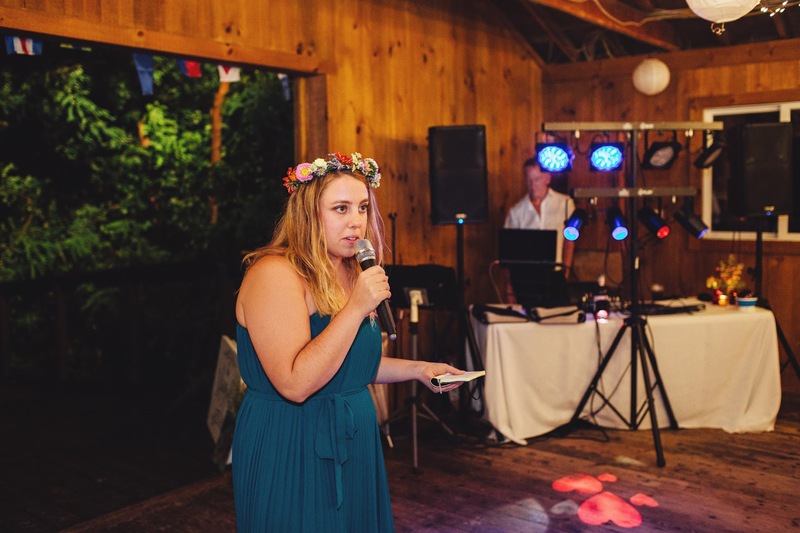 When Rob and Jill first asked me to give a speech, I was super excited because I love attention and because I thought it was the perfect opportunity to do a parody of a song from the hit musical Hamilton. But a few lines into the song, I realized that I was making it into a joke. And it was going to be terrible. So here we are–going the genuine route. And what’s more genuine than the Bible? Oh, yeah. We’re going there. steps in and turns our mourning into dancing or makes the embarrassing warts disappear or defeats the Patriots. Rob and Jill are the embodiment of this phrase. Getting to know Rob and getting to know Jill at make-believe school were two very different experiences. Making friends with Rob is feeling at ease in his presence. It’s going to the beach or getting ready to go to the beach or coming back from just having been at the beach. It’s an open mind, unshakeable loyalty, and unbelievable kindness. It’s also unbelievable food that he cooks. Fancy food. Once we took Rob out for his birthday because we thought we’d give him the night off, and the restaurant was so fancy that when I ordered ravioli it arrived and it was a single piece of ravioli. That was the ravioli of my life, Rob. and it comes in the biggest portion sizes Chilis has to offer. Making friends with Jill means always ordering an appetizer. It’s talking with something to say. It’s nights spent with ice cream and open hearts. It’s using your words to make the other person feel better, feel loved, and feel heard. It’s hair that took years to perfect, and it’s so much laughing. And then there’s Rob and Jill together–that early friendship full of singing Celine Dion as loud as possible. Rob, I heard those whistle tones. Underappreciated karaoke. Day trips. TV viewing parties with Jill’s apartment and Rob’s food and my… presence? It’s also so much fun. So much fun that when Jill said she was going to give this strapping young man a chance, I was worried. Worried that it was going to blow up in Rob’s baseball-cap-covered face. The friendship was too good. There was no way it was going to work out! Love came into the picture, and instead of destroying a friendship, it enriched it. 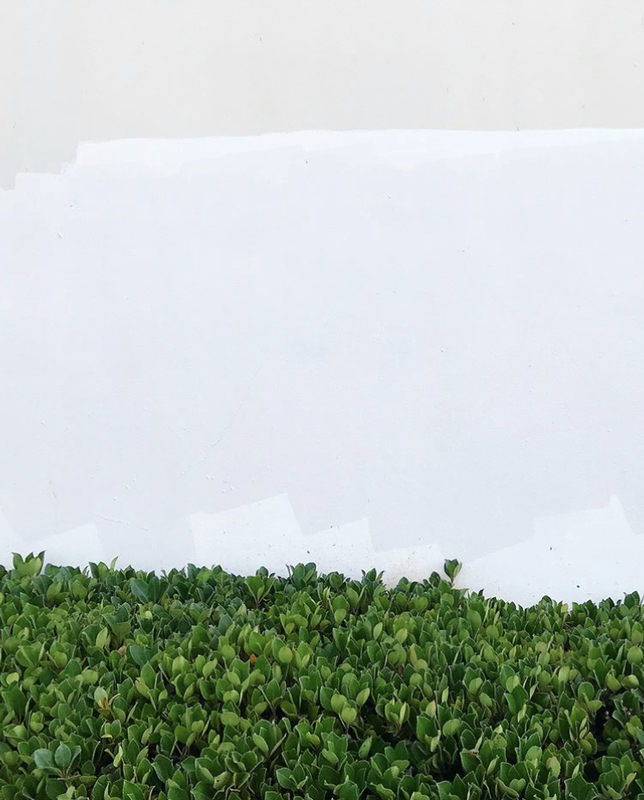 And love created an ending they never taught us at Pepperdine because it’s too wonderful and simple and sweet to be anything other than the great surprise of life, to be anything other than the real, BUT-THEN-kind of love. As you continue the story together, I hope that love keeps surprising you. I love you both. Like it’s a love liner they’re boardin’? A copycat of Rob’s favorite dish from his favorite hometown Italian restaurant. I can definitively say Rob’s version is better than the original. I have been to the original. It is excellent. For my birthday I chose this dinner and then proceeded to eat an entire pound of pasta myself with no regrets or sadness, only love and light and 31 years. A Cape Cod classic, their chocolatey drinks are special, but I got their soft serve almost every day we were on the Cape this year. Maybe every day come to think of it? 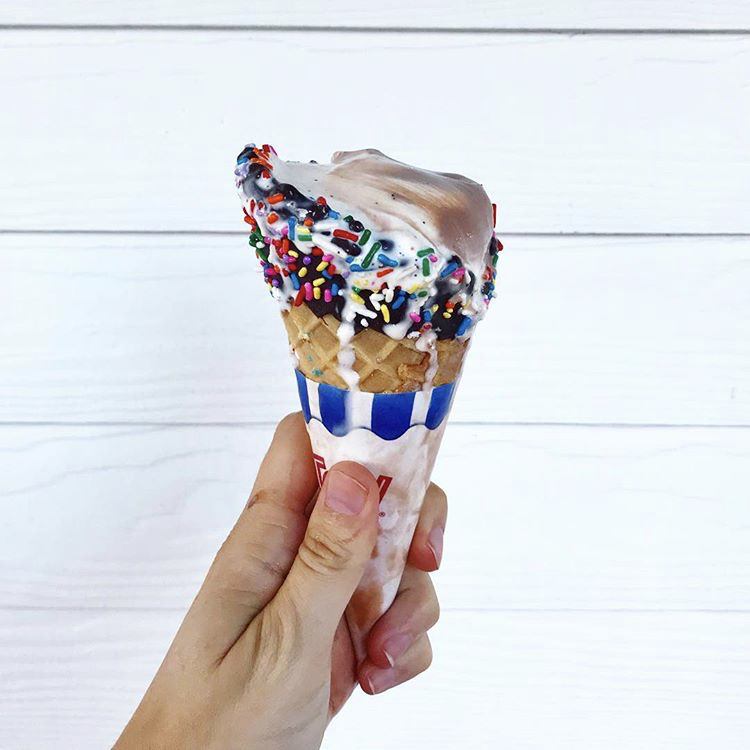 There is something about good soft serve that simply cannot be topped, and this soft serve is great. I travel to the Valley for this burrito. It’s known to my coworkers as my Valley Burrito. It is so enormous, the size of about an eight-month-old child, that I usually bring half of it to work the next day and people ooh and ahh and say, oh Jill got her Valley Burrito yesterday. Hear me out. A donut stuff with a poached egg, ham and basil. It’s a real thing that sounds maybe iffy? And is glorious. This restaurant was featured on La La Land and now has a picture of its movie scene right on the cash register which takes away a bit of its charm, but the pupusas remain THE PUPUSAS. The only thing you really need to do in Downtown LA. Los Agaves is my favorite restaurant in the entire world. The restaurant we went to right after we got engaged. The restaurant on the top 20 best reviewed restaurants on Yelp. Like 60% of the reason we go to Santa Barbara so often. This is my order plus beans + rice + guacamole. Is there anything better in this life than french fries topped with roast beef and gravy? In New Orleans? Rob’s best friend lives in San Diego, and so Rob has been raving about Crack Shack for years. It finally came to LA, and to a place we go often, at that! Any excuse I have to get this spicy, melty chicken sandwich I take, eagerly. I have a lot of excuses. I live for soup weather. Let’s live as a group! Wow, what a clever opening poem, for this, the first annual Jillian Lorraine soup swap!! I was telling someone recently that I’m at the stage in my life where I would enjoy a recipe swap. I used to mock these things, mock this lifestyle, and yet. Here I am, writing poems, and doing the wave and putting out a recipe swap for the whole gosh darn internet! 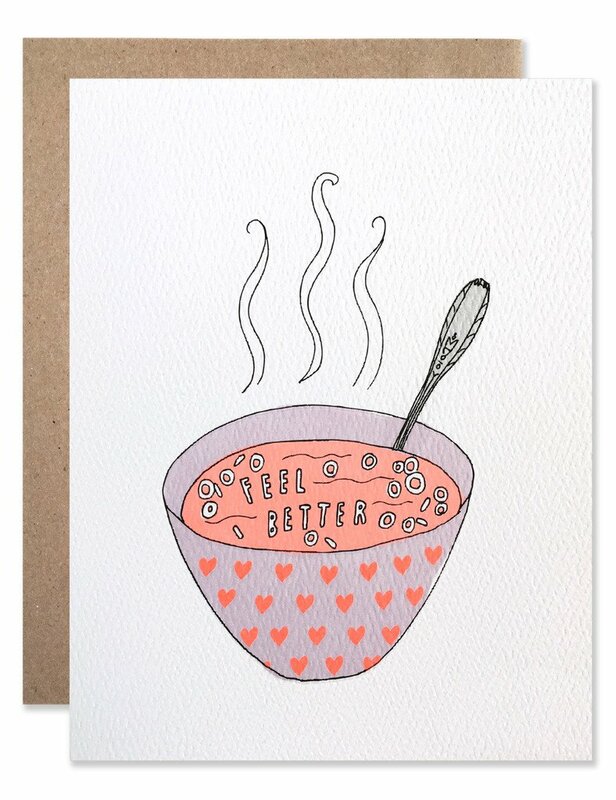 I truly do love soup. When I told Rob about this idea he said, “Soup girl never leaves her soup.” This is nearly as clever as my opening poem. We are a fun time. Right now in Los Angeles it’s the best of the soup weather. It’s all fuzzy socks and half finished cups of tea, spiced nuts and soft blankets. It takes fifteen minutes. It’s delicious. You can pack it with veggies if you so choose. 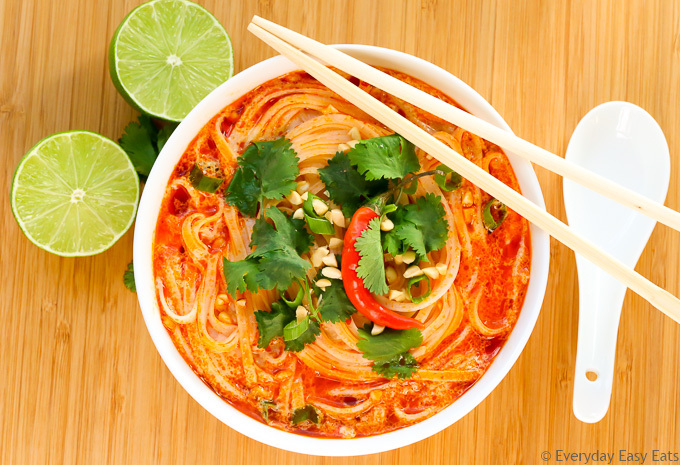 We use udon noodles because I always want the best noodles in my soup/life. Also we add bok choy, bell pepper, yellow squash and chicken. 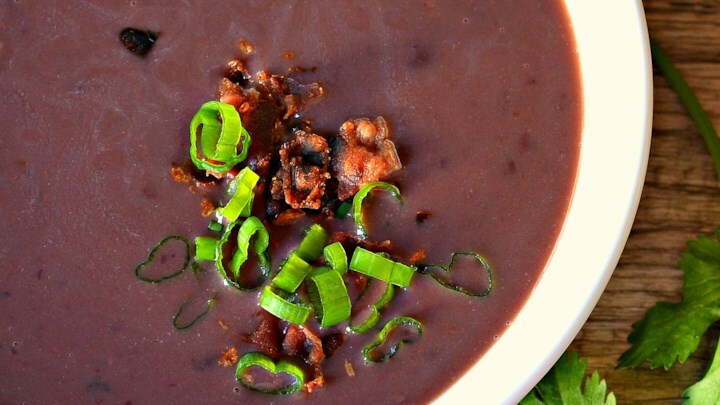 This one is hardly a soup, more of a very thick…stew? Sauce? We add chicken and put it over a bed of lime/cilantro rice (a la Chipotle). Mmm. 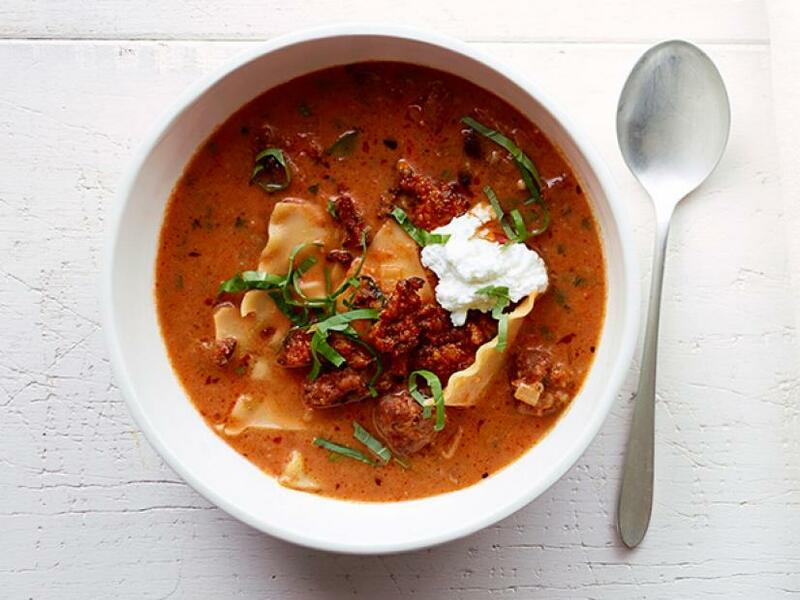 Double the spicy sausage and the noodles and you’ve got yourself a winner. OK, now it’s your turn. Do not let me down. Gimme all your best soups. 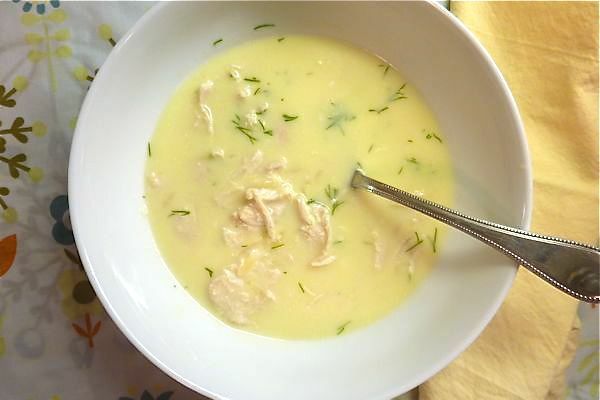 Or at the very least, the links to your best soups. GO! Today I returned 14 overdue books to the library. In my 31 years of library use this has never happened. I am a responsible and independent library user! My mama taught me better than that! It started with Angela’s Ashes. Angela’s Ashes was a tough read for me. It was very dark and hopeless feeling. I told this to a friend and she said, really? I didn’t feel that way. I thought it was so full of life and humor. Maybe another time would be! Angela’s Ashes was hard for me to get through. And suddenly, “Oh it’s a day overdue” turned into “Oh it’s a week overdue.” And I keep the sort of library schedule where a lot happens in a week. I keep the sort of life where I can say that phrase and Mean It. I returned them all today. All 14 of the beautiful, overdue books. My arm still kind of hurts from lugging that weight six blocks uphill in the rain both ways. It was a weird defeat. I thought I could conquer that stack! I thought if I just read one book every day for 14 days I would be caught up! But as I mentioned before, I’m on the sort of library schedule where a lot happens in a week. Imagine what happens in 14 days! Imagine what it’s like to live in my brain! There’s meaning to all of this somewhere, I’m sure of it. It’s just beyond the tip of my tongue. Something about control or success or a feedback loop. Something about learning my own limits and saying no and not seeing this as a defeat or a reflection of self. There’s a lesson in this, and yet I keep coming back to Destiny’s Child. A Memory. Click, Click, Click. A couple of weeks ago Robert and I bought an internet booster thing. There’s a real name for this item, and we had real reason to believe it would work, but that stuff is irrelevant to the story. We had an internet booster thing. We procrastinated setting it up, and by the time we realized, no, in fact, this was not going to work, it was 8:45pm on the night we needed to return it. Staples has a strict 14 day return policy. We had fifteen minutes to return this internet booster thing within the policy window! Rob tossed me the cord while he ran to put on his shoes. I left the house in weird camera pajamas and Birkenstocks and soon we were sprinting up the road, laughing into the darkness. “I’m going to throw up!” I yelled. We huffed and puffed and regretted our poutine from dinner. We huffed and puffed and regretted that we hadn’t taken care of this earlier. We laughed and huffed and laughed and puffed and when we arrived at the store three blocks later, they said, um this is a receipt for scrapbook paper? It all worked out with six minutes to spare. On the way home, Rob took my hand and we walked leisurely, letting our heart rates return to normal. So here I am, writing it down to save it for later.